Many grow lights boast to be the best, with differing power ratings and light spectra complicating the choice. To help you understand how plants absorb artificial light and how grow lights produce photosynthetically active radiation (PAR), we have prepared the following infographic which compares 4 of the most popular types of grow light: LED, HPS (High-Pressure Sodium), Fluorescent and Plasma. To compare them we look at measures such as PAR, PPFD (Photosynthetic Photon Flux Density), and power rating to measure the overall efficiency. As a low cost and price of running lights is also very important, we offer a cost comparison graph which helps you understand which light is cheaper in the long run. Electricity bills for HPS often run into hundreds or thousands of euros a year for example, which is not immediately obvious when buying fixtures. Also the longevity of the bulbs adds to running costs, as displayed in this infographic, with only LED lights not requiring expensive replacement bulbs. At excite we have designed our lights carefully to deliver the most photosynthetically useful light to plants after extensive testing. 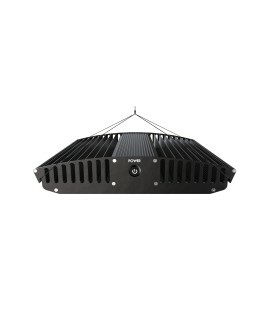 We hope you now understand why excite grow lights are more economical and suitable for your growing needs.